Cuitláhuac (c. 1476 – 1520) was the 10th ruler of Tenochtitlan. 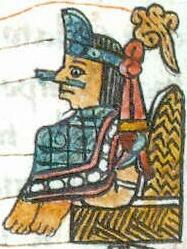 He was a son of Axayacatl and a younger brother of Moctezuma II. This page was last edited on 15 February 2019, at 17:09.